Visit Piazza Navona, Bernini's Fountain of the Four Rivers, Trevi Fountain, Spanish Steps and Pantheon (except on Sundays due to early closure). Small groups of max 15 people. Indulge in a delicious gelato (1 per person) and learn what gives it such vibrant flavours. Indulge in a delicious gelato – Italy’s answer to ice cream! Discover Rome’s historic top sights and get an orientation of the Eternal City with an expert tour guide. Your evening stroll through the historic centre includes the Spanish Steps, Trevi Fountain & Pantheon plus a free gelato! Coming to a city as (wonderfully) chaotic as Rome can be daunting. We want to give you a warm, Italian welcome and get you set up for the rest of your visit. Intimate groups of 15 people or fewer will guarantee easy access to your guide and the opportunity to ask anything you might want to know; from why Raphael is buried under the Pantheon, to where you can get the best pizza, or whether you should tip your waitress. Start your tour in Piazza Navona, less of a plaza than a grand outdoor art gallery. 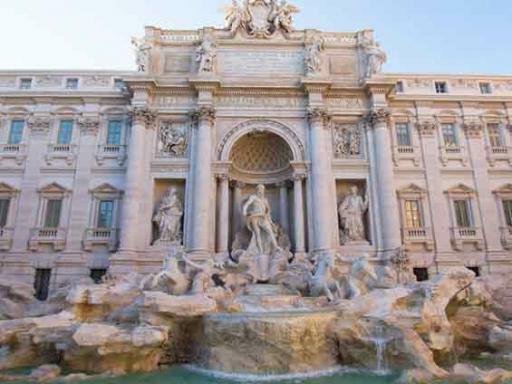 Learn about the political intrigues surrounding Bernini’s Fountain of Four Rivers as well as some of the artistic in-jokes that he carved into the stone. Next, head into our favorite site in Rome; the 1,900 year old Pantheon. In the early evening this marvel from Antiquity is much less crowded than during the day and your guide will take full advantage of the serenity to tell you about the history of the iconic dome. Finish your evening stroll at the famous Spanish Steps. Audrey Hepburn and Gregory Peck fans will recognize this spot from ‘A Roman Holiday’ - here they bumped into each other. Departure Location: Please meet your guide in front of the Brazilian Embassy in Piazza Navona (under the Brazilian flag). Check in Time: Please arrive 15 minutes prior to your departure time. Hotel pick-up/drop-off is NOT included. Please meet your guide in front of the Brazilian Embassy in Piazza Navona (under the Brazilian flag). This tour ends at Piazza di Spagna. 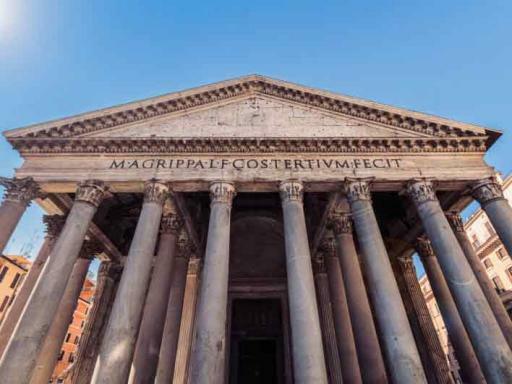 Please note that on Saturdays the Pantheon is closed due to mass so see it only from the outside. Please note that the Pantheon may be closed during special celebrations/festivities. If this occurs during your visit, your guide will give you the explanation from the outside. Is there a dress code for this tour? Yes. The Pantheon is a church so you need to cover your shoulders and to your knees before you enter. It is sufficient to bring a covering like a sweater or sarong with you for just this section of the tour.